Whether enjoyed as a snack, or as a side dish to any meal, these roasted green beans are simple to prepare, quick to roast, and a tasty dish everyone will enjoy! A few weeks ago, both my hubby and dad were out of town. Since my parents live about one mile up the road from us, my mom and I got together for dinner. Seriously, best set up ever. Having grandparents that close is such a Blessing and something we most definitely do not take for granted. 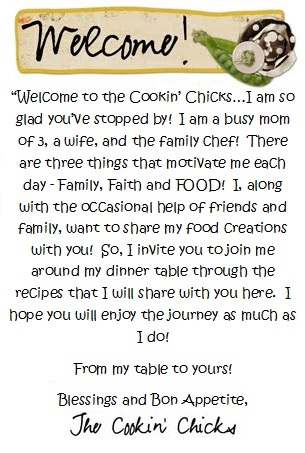 Its fun doing every day life with them and being able to try new meals and get their input!! Since she had made meatloaf the night before for my father and her, she brought over the leftovers for us all the enjoy. 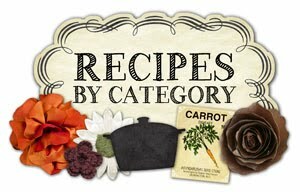 We only needed to come up with a side dish to go with it, easy peasy! I had gone to the grocery store the day before, so I was stocked up on veggies. Carrots, green beans, broccoli, and corn are my go to veggies, since my three kiddos complain the least when I serve those, haha! 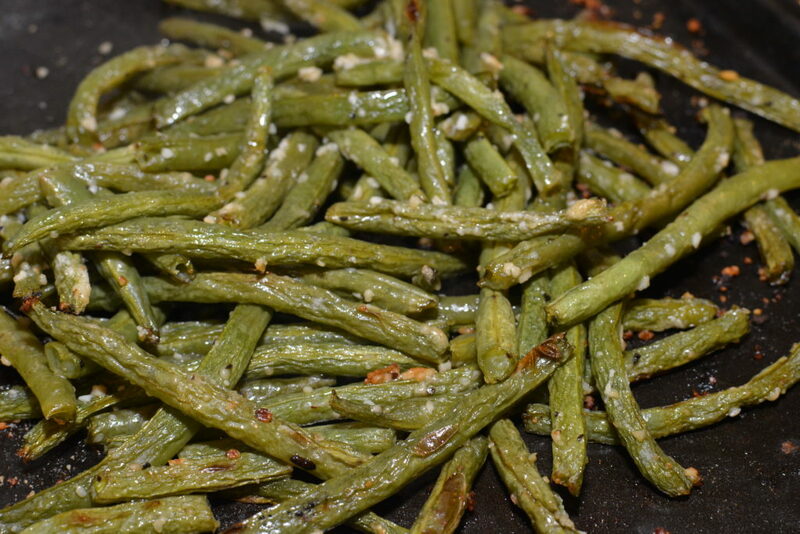 I decided to use up the green beans by roasting them with some garlic, Parmesan, and salt/pepper. 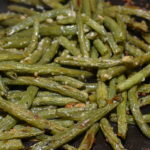 My kids go crazy over roasted green beans, so I knew it would be a hit! After prepping these in about five minutes, they were ready for the oven! These complimented the meatloaf perfectly and we each cleared our plates in no time! My youngest kiddo compares these to French fries because they get crispy/crunchy and have a hint of salt on them. I’m not so easily fooled (I love my French fries), but hey, maybe you too will replace them as fries, haha!! Quick to prep, packed with flavor, and the perfect snack or side dish to any meal! la;In a ziploc bag, add the green beans, olive oil, salt, pepper, and garlic. Seal bag closed and shake until thoroughly coated. 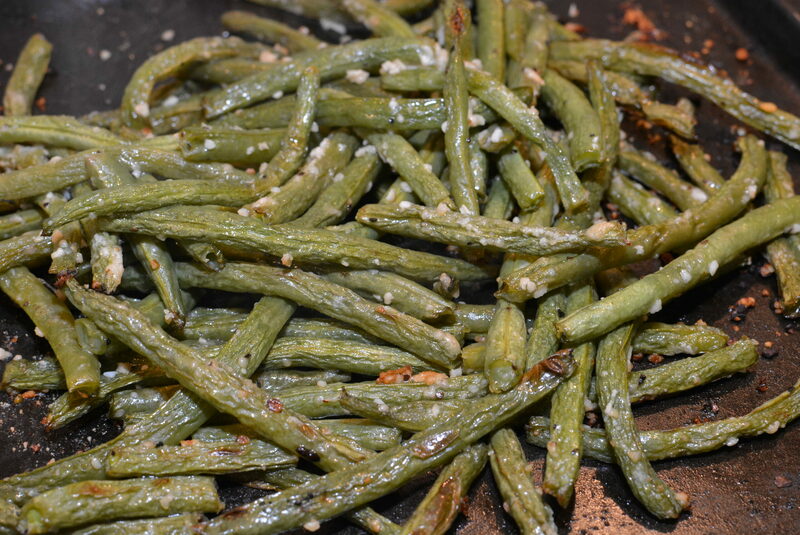 Open bag and spread coated green beans onto a cookie sheet. Sprinkle Parmesan cheese evenly on top. Place cookie sheet into preheated oven, 400 degrees, and roast for about 20 minutes.